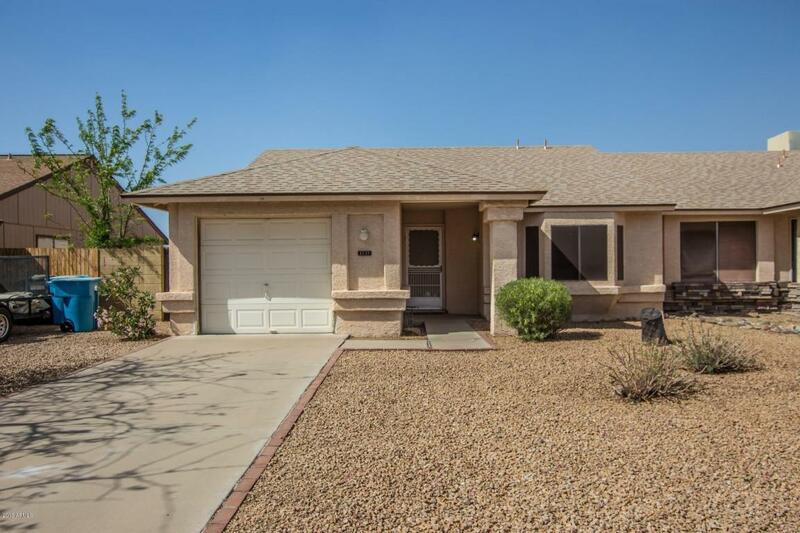 Look at this lovely home in Phoenix! 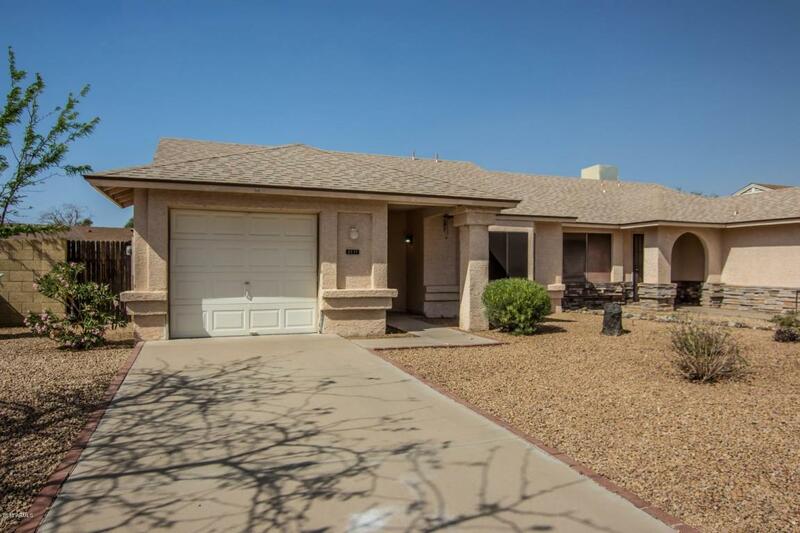 This two bedroom home has a one car garage and a desert landscape front and back. 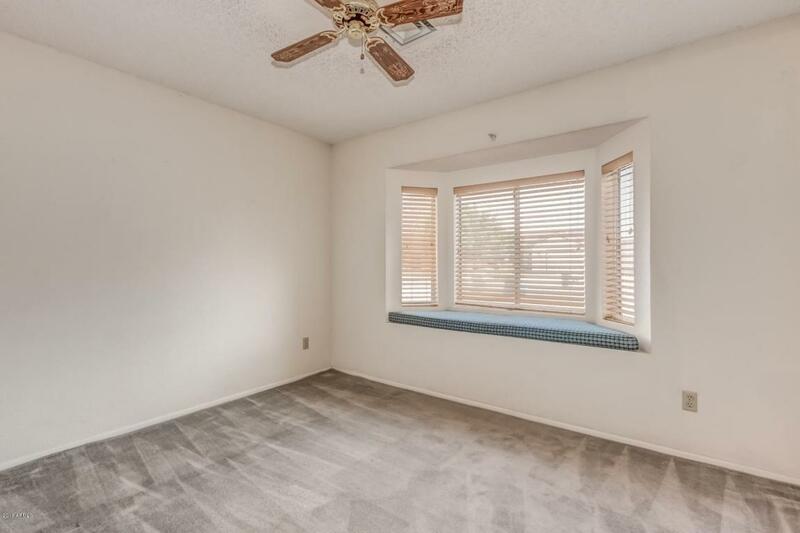 The great room has a bay window and access to an eat in kitchen. Marble counter top, separate dining area, french door leading to the backyard. There's also access for your four legged friends through a doggie door leading to a fenced dog run. Indoor laundry with washer/dryer hook up. 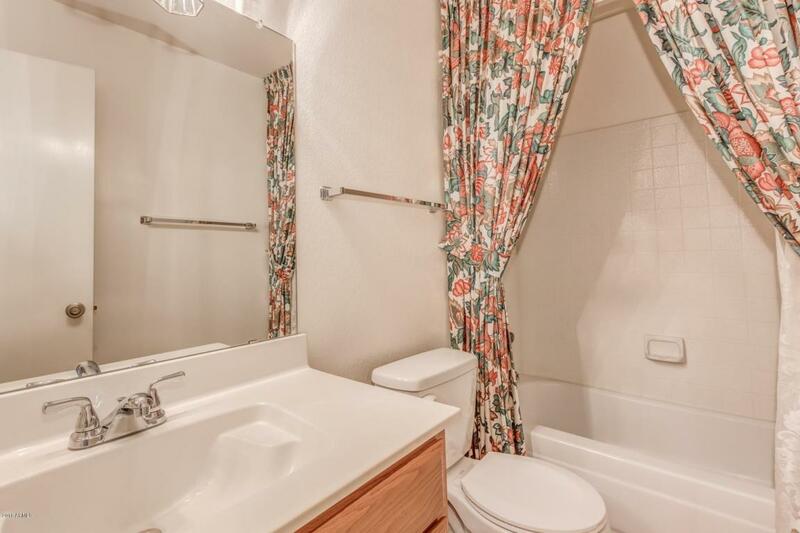 Guest room access to full bathroom, master has a private full bathroom, both bedrooms have a bay window. Spacious backyard with cactus planters, covered patio and a rock bed surrounds the extended, tiled patio. This adorable home will go fast, make it yours today! Listing courtesy of Edson Salas Realty.